Lisys is something quite different from my usual projects. 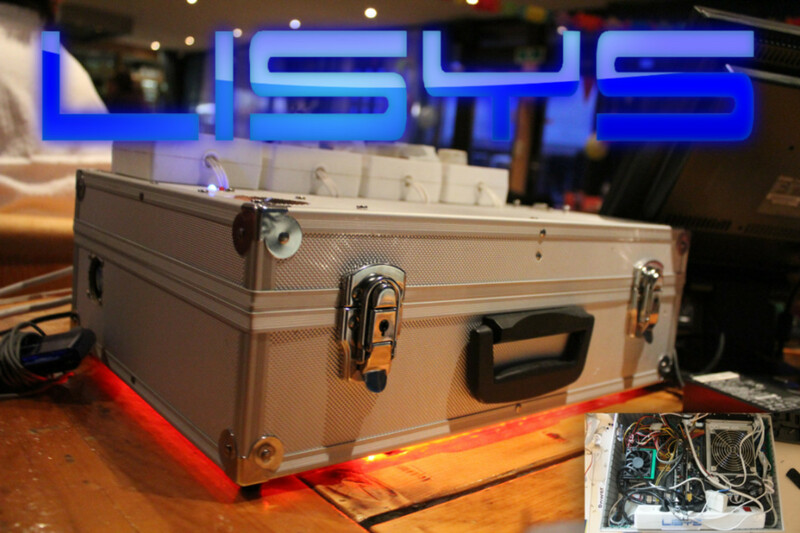 It's a suitcase with an entire PC hacked built into it. The power sockets on the top are connected to a relay board, which is connected through the serial port (yes, an old printer port). This was built back in 2011, when I was around 14. Through some trickery hackery advanced software engineering I got the lights to flicker with the music, which looked kind of cool! For the demo video I just took some music I had lying around and copied it a few times, thus the duplicates.